Trip Highlights: Experience Himachal Holiday Tour by visiting best tourist places- British capital Shimla, Chail, kullu, Manali, Solang Valley, Manikaran Rohtang pass, Dharamshala, Khajjiar Dalhousie & much more..
HillStationsTourPackages.com executive or driver will meet & greet you at Delhi Airport or any pick-up point in Delhi or Railway station and later get transferred by Car or Volvo Bus(overnightJourney)to Shimla.Arrive in Manali and Check in your pre-booked hotel.Dinner & Overnight stay at Hotel. After breakfast proceed to visit Jakhoo Temple, state musuem,Jhaku hill,The Ridge etc. Rest of the day is free to explore various scenic sights or visit mall road and shopping. 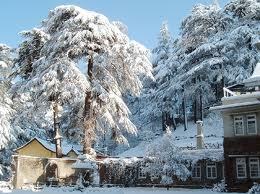 Dinner & Night stay at the Shimla hotel. After breakfast ,check out from Shimla hotel & depart for Manali by road (7hours drive).On way you will come across scenic spots like Pandoh Dam,Mandi, Beas River and Dashehra Maidan,Manikaran via Kullu.Check in at Manali hotel.Dinner & overnight at the hotel. Breakfast at Manali hotel and proceed for sightseeing tour of Manali, covering Hadimba Devi an ancient temple with wooden carvings and has a small cave,Vashist Temple,Tibetan Monastery and the handicraft center. 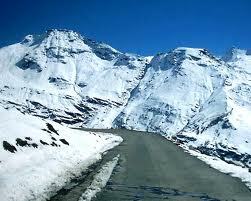 In the evening visit at the famous mall road to enjoy the atmosphere of the hill station and overnight at the hotel. After breakfast depart for full day excursion to snow point Rohtang Pass,which is situated at height of 3978 mtrs above sea level and 51 Km from Manali.There are a beautiful sight of glaciers,spectacular mountain views. In route Stop over to enjoy breathtaking beauty of Rahalla Falls,Kothi,Chandra river,Lahaul valley.Enjoy skiing and trekking and snow caped mountains.By evening drive to Manali.Dinner & overnight stay at Manali hotel. After breakfast drive to Dharamshala (Mac Leodganj).On the way stopping at Baijnath known for its ShivaTemple and further at Palampur famous for Tea Garden.Arrive Mcleodganj which is also known as little Lhasa where his holiness Dalai Lama reside. Since 1960, when it became the temporary headquarters of His Holiness The Dalai Lama, Dharamshala has risen to international repute as "The Little Lhasa in India".Check in at Dharamshala (MacLeodganj) hotel.Evening free for leisure and relax. Dinner & overnight at the hotel. Day07 : Dharamshala-Khajjiar -Dalhousie [135 Kms/4-5 hrs] Enjoy breakfast check out from Dharamshala ( Mcleodganj) hotel and proceed towards Dalhousie via Khajjiar (135 Kms), arrive Khajjiar , have lunch , Enjoy horse riding near Khajjiar lake ,depart for Dalhousie .On way visit Chamera lake, Kala top bear sanctuary ,dain kund, reach Dalhousie. Dinner & overnight stay at Hotel. After breakfast at hotel, proceed for sightseeing tour covering Panjipula, Subhash Baoli etc.Dalhousie has been named after the British Governor - General of the l9th century, Lord Dalhousie. It is surrounded by varied vegetation - pines, dodders, oaks and flowering. Evening free for leisure and relax. Dinner & overnight at the hotel. Enjoy the breakfast & time for checkout from the hotel & drive to Delhi . Arrival at New Delhi & drop at airport or railway station.End of trip with loads of happy memories. 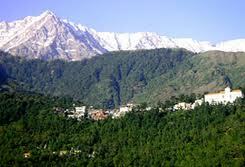 Trip Cost (With Deluxe Hotels) Rs.29,900/Per Person. 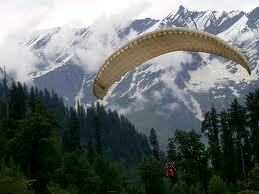 Trip Cost (With Luxury Hotels) : Rs.34,000/Per Person. 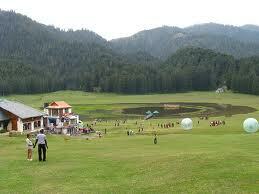 Trip Cost (With Deluxe Hotels) : Rs.36,500/Per Person. 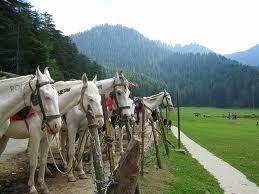 Trip Cost (With Luxury Hotels) : Rs.46,500/Per Person.